Dassault Aviation has redesigned the cabin of the Falcon 900LX, reduced noise levels and introduced new features including a vacuum toilet system, new connectivity services, Assault’s proprietary FalconEye Combined Vision System and a new Dassault-designed integrated electronic flight bag solution. The new cabin design for the Falcon 900LX features flowing lines that are intended to de-clutter the cabin and enhance the feeling of space. Designers paid close attention to the integration of cabin equipment to make it as accessible and easy to use as possible. A new LED mood lighting system produces both traditional white light and a selection of programmable mood lighting ambiences. 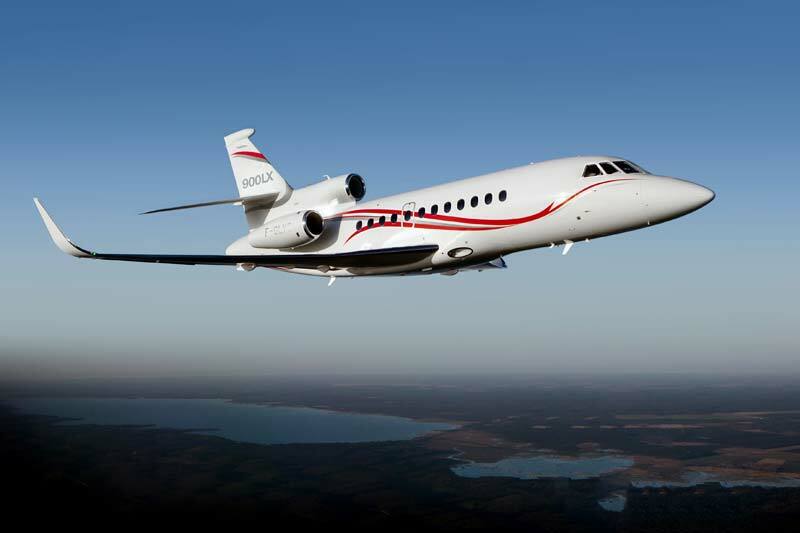 New acoustics, derived from the recently introduced Falcon 8X, reduce cabin noise by 2dB SIL. The new cabin is compatible with the latest broadband connectivity systems, providing inflight communications and high-speed access to internet and corporate networks. The cabin also comes equipped with FalconCabin HD+, which utilizes fiber-optic network technology to distribute HD audio and video content throughout the cabin and give passengers total control of cabin functions. Certified in 2010, the Falcon 900LX is the most advanced version of the Falcon 900 line, with a range of 4,750 nautical miles. More than 500 Falcon 900s have been delivered, and most are still in service.